Inspired by 1930’s film star Carole Lombard, Ottiu has designed a mid-century modern sofa with the same style and class as this striking actress. 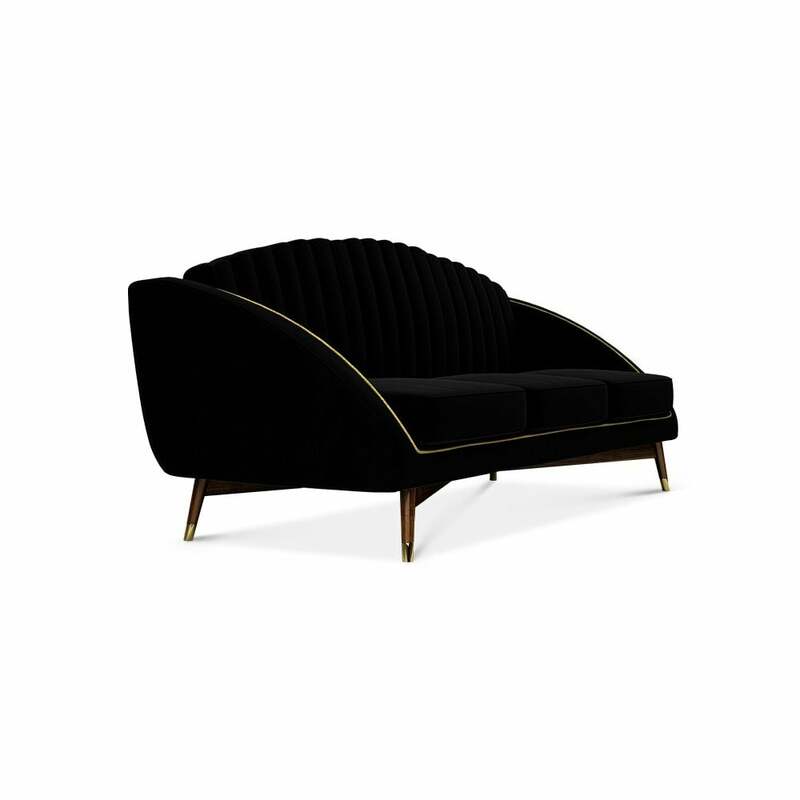 The structure is crafted from pinewood and upholstered in cotton velvet with detailed gold piping. Featuring walnut wood legs and polished brass feet, the contemporary Carole sofa is a must-have for mid-century modern design lovers. Part of the Century Collection by Ottiu, the sofa can be made bespoke in your choice of colour fabric to suit your interior requirements. Style with silk cushions and a faux fur throw for the ultimate Hollywood look. Get in touch with our team for more information. Priced for Upholstery: Ottiu Fabric. Structure: Pinewood, legs in walnut wood. Details: Golden piping, polished brass feet.